To call the incoming US president unpredictable would be an understatement, but that doesn’t mean that industry shouldn’t know what to expect. Suspension of disbelief is a key element to the success of many dramas, so it seems fitting that even as the results of one of the most dramatic elections in US history became apparent, hardly anyone could believe it. The Coastal Elites – feeling every bit like the blue parentheses the country’s population centers resemble on the electoral map – can be forgiven for aching like a drug sponsor does when a product is rejected by FDA even after it’s been endorsed by an agency advisory committee. Their data told them it would succeed, and they won a popular vote, but they are still left profoundly disappointed and wondering what to do next. Sometimes life itself can resemble being regulated by FDA. Now, though, the possibility is a definite even as it feels as though the entire country is still the cast of a reality TV show. There has never been a president with such open contempt for traditional political mores, and there are those who maintain that combining the power of the presidency with Trump’s volatile personality could produce cataclysmic results. The fate of the world is beyond the scope of our discussion here, but suffice to say that those in the industry who are most worried about a Donald-induced apocalypse are likely no longer thinking about pipeline performance or quarterly sales targets; instead, their focus on medications revolves around deciding what products to stock in their underground shelters. But even executives not worried about Armageddon and simply trying to plan for the new administration are asking themselves: how much do I need to think about approval and reimbursement regulations, and how much do I need to need to think about POTUS’ Twitter? The answer is that both issues will likely require a fair bit of attention, but the good news is that even as the public aspects of Trump’s persona are without political precedent in the US, his administration’s policy approaches are shaping up to be almost generically Republican in the areas that pharma companies care about most. On the stump, Candidate Trump made numerous statements that went against the Republican mainstream, most notably for pharma firms a suggestion that the government should negotiate drug prices in Medicare. Another pledge, one that was actually on his website for a time, would allow importation of drugs from countries where products are cheaper. That’s not to say that drug firms have nothing to fear from a Trump administration when it comes to drug prices, even as stocks in the sector went on a giddy rally after the prospect of the Clinton presidency, and its sharp attention to pricing, disappeared. The biggest near-term risk to industry from a Trump presidency appears to be uncertainty created by efforts to repeal and replace the Affordable Care Act, underscored by the fact that Congressional Republicans are debating whether the undertaking should be legislation that repeals and replaces. The Affordable Care Act (ACA) brought health insurance to tens of millions of Americans, expanding the number of customers for pharmaceutical companies. If repeal and replace results in a lot fewer people with coverage, that could mean a lot less medication dispensed. And while industry is aware of the risks of government involvement in healthcare purchasing – and is certainly no fan of the fees that helped fund the coverage expansion – strengthening the relative hand of insurance companies to set coverage policies, as many replace proposals would do, is not something sponsors want to see either. It’s still too early to see how the health insurance reform debate will play out, but it seems safe to say that the exchanges will have been eliminated in one fashion or another by the mid-term elections. What rises in their place – and what Medicaid will eventually look like – remains hard to say, which means companies will be forced to manage their pipelines and price their products without a clear sense of who their customers are going to be and how they will pay for their prescriptions. In the face of all that uncertainly emanating from Capitol Hill and CMS, FDA could end up being seen as a bastion of calm predictability by comparison. Sponsors may not always like what they hear, but the applications move smoothly through. True, the agency is well off last year’s record-setting pace for approvals, but the numerous complete responses letters and other submission dynamics could be setting up a blockbuster 2017. On top of that will be all the changes that Trump appointees will make. For example, FDA has been uncomfortable, to put it mildly, with the idea of allowing sponsors more latitude on off-label communications. One can expect that attitude to change quickly in the new administration, and if regulation and guidance aren’t immediately forthcoming, sponsors themselves will probably still feel like the line has shifted even without a formal declaration. But the downside of changes like that, and even just an increase in the rhetoric calling for FDA reform, is that the agency staff itself may begin to feel disheartened. Time spent on internal policy fights is time that can’t be spent advising sponsors, and a staff being constantly told it needs to change its approach may in fact not be able to maintain the currently strong review pace, especially if employees become disillusioned and leave. Those are the kind of risks and benefits that industry would be facing under any Republican president. Where companies may face special risks are around Trump’s signature issues of immigration and trade. The pharma industry relies on both, and the incoming president has expressed, shall we say, some deep skepticism about them. Undocumented workers aren’t key to pharma’s business planning, but many of the proposals being developed by the administration would even eliminate visas for highly skilled workers, meaning that companies might not be able to recruit, or even just relocate, executives and scientists as needed. On trade, pharma long ago transitioned much of its product manufacturing oversees, and any successful effort by Trump to Bring Jobs Back through tariffs would be incredibly disruptive. It’s uncertain how much Trump could even accomplish on that front, though, given that his position is an outlier within the Republican party, and building bridges to anti-trade Democrats might make accomplishing other parts of his agenda more complicated. When it comes to the status of jobs in the US at risk of moving overseas, pharma should pay careful attention to the situation with the Carrier factory in Indiana. The company had earlier announced plans to relocate production to Mexico, and the decision had been a focus of Trump’s campaign. He’s going to be president now, and the company has changed its mind. It’s unclear what motivated the switch – financial or regulatory concessions from the state, perhaps, or potentially a decision by the defense-contracting parent company to encourage good relations with the incoming head of state. The terms of the arrangement will probably become clear eventually. Does that mean that pharma firms contemplating moving research or production overseas, as many have done over the years, should try to cut a deal with Trump to keep the jobs in the states? If it would allow the administration the opportunity for a good public relations moment, it could be worth a try. But any firms undertaking that strategy should realize they are playing with bright, orange fire. For firms that don’t get too close to the flame, however, its basic Republican glow and the fundamentally solid economy the new president will inherit likely means that industry is looking at a great four years. Brexit: What Can The Life Sciences Industry Do About It? Therapeutic Progress Amid Political Turbulence: Could 2017 Be Pharma's Year? 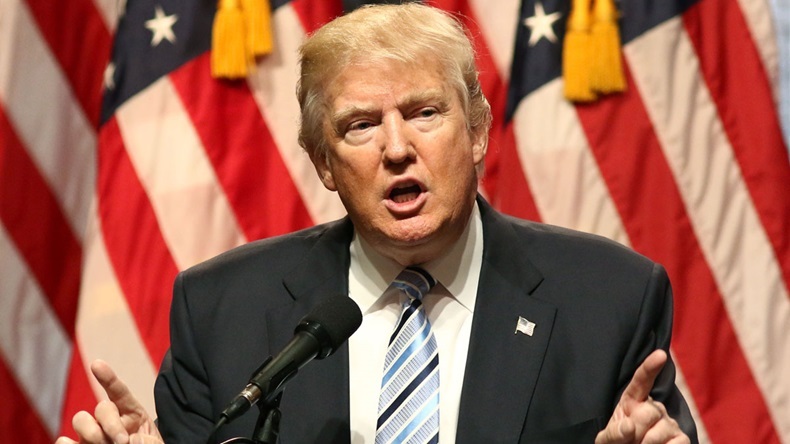 Will US FDA Wind Up With More Political Positions Under Trump?